Penicillin: Where Does Penicillin Come From? In previous centuries, people were already aware of using mushrooms to treat inflammation. In England, during the mid 17th century, John Parkinson, a royal physician realized that putting moss on the wound would make it heal faster. By the end of the 19th century, in many parts of the UK, pieces of moldy bread were used to cure injuries. However, that was what happened before Dr. Alexander discovered penicillin. It was a truly critical moment when doctors finally got a tool that could totally cure their patients of death-dealing infectious diseases thanks to the discovery of penicillin, one of the world’s first antibiotics. 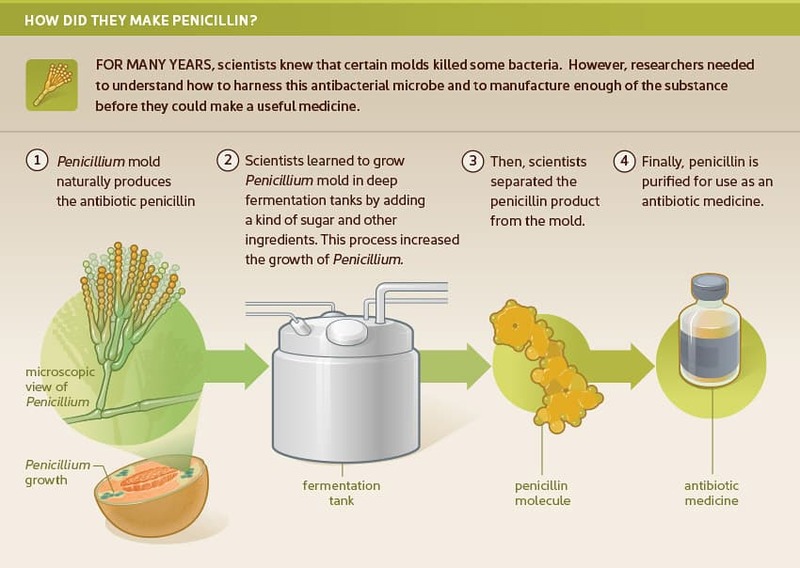 You must be now wondering where does penicillin come from and how was it discovered’, right? Penicillin was discovered in London in September of 1928. As the story goes, while Dr. Alexander Fleming, the bacteriologist working at St. Mary’s Hospital, was examining the Petri dishes containing bacteria, he came across an extraordinary case: the mold had appeared and contaminated his dishes. After carefully placing the dishes under his microscope, he was amazed to find that the mold prevented the normal growth of Staphylococcus. It took Fleming a few more weeks to grow enough of the persnickety mold so that he was able to confirm his findings. His conclusions turned out to be phenomenal: there was some factor in the mold that not only prevented the growth of the bacteria but, more important, may be harnessed to battle infectious diseases. This factor and lysozyme, which he had discovered a few years ago, were very much alike. Alexander Fleming discovered penicillin in a very accidental way but it changed the course of medicine. “When I woke up just after dawn on September 28, 1928, I certainly didn’t plan to revolutionize all medicine by discovering the world’s first antibiotic, or bacteria killer. But I guess that was exactly what I did.” He reminisced. That magical mold is Penicillium notatum and the factor that are capable of killing bacteria is called penicillin. Initially, penicillin was only used to treat surface wounds, but it only brought limited success as the crude penicillin had very little active ingredients. Fleming tried extracting pure penicillin, but in vain. Therefore, he kind of lost interest in penicillin. Actually, Fleming had neither the laboratory resources at St. Mary’s nor the chemistry background to take the next giant steps. 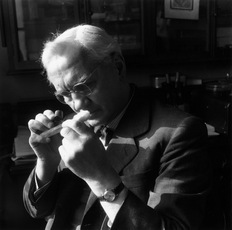 10 years later, in Oxford, Dr. Howard Walter Florey, an Australian pathology, and Ernst Boris Chain studied the biochemical characteristics of lysozyme, enzymes that destroyed bacteria that Fleming discovered. 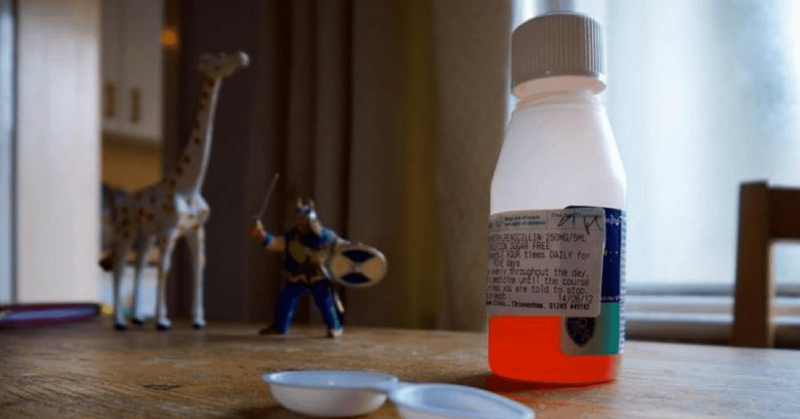 After work on lysozyme completed, Florey and Chain began seeking new research topics and the two men stumbled upon penicillin, the work almost forgotten by Fleming. In 1938, Chain and Florey were fascinated by penicillin, the possibilities that it could bring to humanity and they were also well aware of the meaning and the importance of this anti-bacterial substance. Though later on, Chain and Florey fought constantly with each other over who deserved credit for developing penicillin, they still succeeded in producing a series of crude penicillium-mold culture fluid extracts together. On May 25, 1940, the two scientists experimented on a group of 50 mice that they had infected with deadly streptococcus. The experiment was successful. Half the mice died miserable deaths from overwhelming sepsis. The remaining others, which received penicillin injections, survived. Nonetheless, before they tested the drug on people, there was a problem: how to create enough pure penicillin. That was the key issue. The task then fell to Edward Abraham. Edward Abraham researched into the technique later called adsorption chromatography: Cultured liquids containing penicillin are given through the tube filled with adsorbents, which will separate pure penicillin from impurities. In March 1942, Anne Miller became the first civilian to be treated successfully with penicillin having almost died after a huge infection following a miscarriage. Florey’s lab quickly turned into a small factory, the test tubes filled with penicillin were monitored meticulously. However, the plant’s output was still low, 500 liters of cultured liquid produced just enough of penicillin for 4 or 5 people. After that, the work was transferred to the US, this time, the aim of the scientists was to make penicillin on an industrial scale. A variety of techniques such as ultraviolet light, X-rays and chemical substances affecting the genetic structure of the mold were used to create a high-yielding amount of penicillin. In 1943, the penicillin project was the runner-up in the list of prioritized projects after the Manhattan atomic bomb project. In 1944, a case of treatment with penicillin costed 200 dollars, however, the price quickly dropped. 1945, Fleming, Florey, and Chain were awarded the Nobel Prize in Physiology or Medicine. In his acceptance speech, Fleming presciently warned that the overuse of penicillin might lead to bacterial resistance. 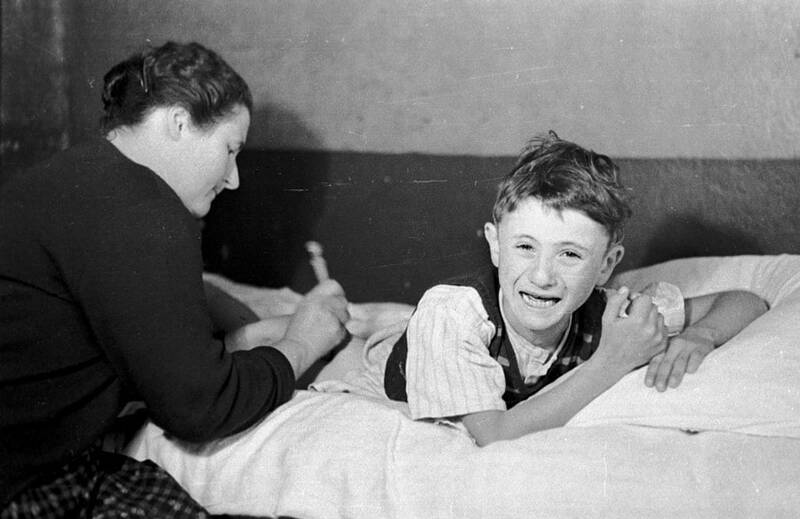 The effects of penicillin have made it become a special medicine. Penicillin works by indirectly bursting bacteria’s cell walls. The antibiotics do this by acting directly on peptidoglycans, an important part of bacteria’s structure. To prevent the bacteria’s cell walls from strengthening and keeping external fluids or other particles from entering them, we need penicillin in the vicinity. Penicillin helps weaken bacteria’s cells; leave them with no solid coating and destroy the bacteria by breaking through their walls. Penicillin kills the bacteria without harming the body’s cells. However, more and more bacteria have developed resistance to penicillin: their weapon is penicillinase, an enzyme that is capable of destroying the chemical structure of penicillin, which makes penicillin become useless. Humans have discovered penicillin among the struggle against disease-causing bacteria, but under the laws of evolution, they have also developed a weapon against penicillin. Penicillin is just one of the antibiotics available in nature which has the ability to kill bacteria. After penicillin, many other antibiotics were discovered. 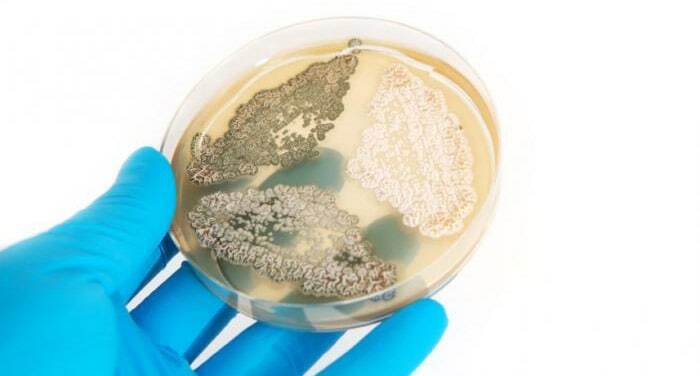 1934, Selman Waksman and Albert Schatz found a different antibiotic – Streptomycin, which was extracted from a fungus found in soil. Streptomycin is used to fight tuberculosis and it was Waksman that discovered Streptomycin and he was also the first one who coined the term antibiotics. As you learn about where does penicillin comes from you also should know that the discovery of penicillin played a pioneering role in the work of uncovering other antibiotics and thanks to the advent of antibiotics, since the 1940s, the average life expectancy in the West rose from 54 to 75. Today, more than 70 years since its clinical trials, antibiotic penicillin still remains important to human life.